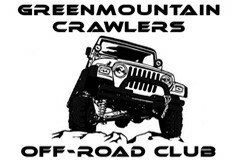 Green Mountain Crawlers is a newer, non-vehicle specific club based out of Vermont. We are semi-exclusive and place a high emphasis on our members remaining as active as possible. We currently have members and vehicles of all ages and abilities. While fun on the trail is our main goal, we obtain this through educating and promoting safe and legal activities. Please feel free to join our Forums and learning more about us.